Shiba Inu are the smallest of three heritage Japanese dog breeds: Hokkaido Inu and Akita are the others in order of ascending size. The breed was almost extinguished during WWII and all Shiba Inu currently alive are descended from one of three bloodlines salvaged. They are a Spitz type breed, with the distinctive curled tail. Though Shibas look somewhat like a fox, they are in fact the domesticated dog that is genetically most similar to the wolf. They are headstrong, proud, and very intelligent. They cannot be bullied, and tend to respond to those efforts with stubbornness and aggression. This is a dog who does not have a strong inherent need to please their owner, so their respect must be won. They are considered a very challenging breed to own and are NOT recommended for inexperienced or first time dog owners. Fully grown, Shibas are a medium sized dog; at the shoulder they will be about knee high on an average person. Shibas have a thick double layer fur and “blow their coat” twice a year. They shed like crazy during that time. Other than that, it’s just typical shedding. Shibas are typically fastidious and do not like being wet or dirty. They were bred to be hunting dogs that could flush small game from tall grass or underbrush in the mountains. They are nimble, fast, and are happiest when they have a sense of purpose. 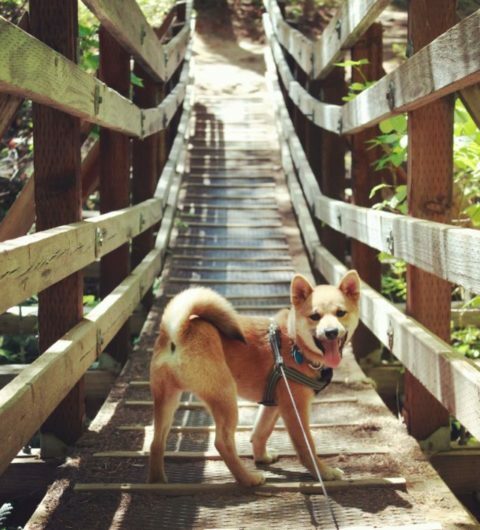 We chose a Shiba not only for the beauty of the breed, but also because they are very clever. Many breeds are more eager to please, so there is something especially satisfying about earning the respect and obedience of a more self-directed animal. Everything I Tell You is Hearsay is powered by	WordPress 5.0.4 and delivered to you in 0.528 seconds using 37 queries.